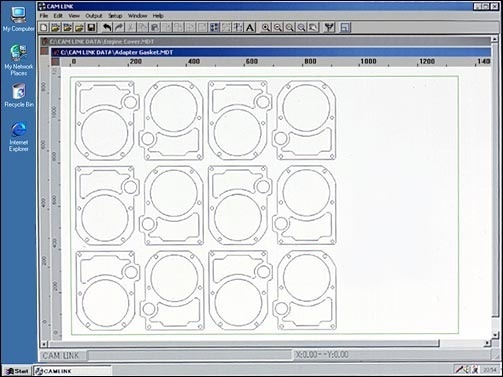 Converts CAD DATA into CUTTING DATA to bring maximum cutting plotter performance. 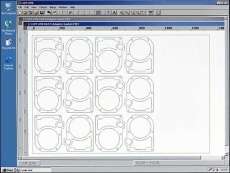 CAM LINK is the software to import the data formatted by the DXF-FILE, converting CAD DATA into CUTTING DATA. You can set up any type of cutting conditions (cutting pressure, cutting speed the number of cuts, type of blade) according to the sheet material and the thickness of a sheet to achieve high quality cutting. In addition to that, CAM LINK is capable of automatically sorting out cutting orders, as well as outputting a simulation that allows you to visualize other cutting orders. Cutting order may also be sorted out manually. CAM LINK enables to develop the system structure for the industrial cutting and to bring efficient operation.